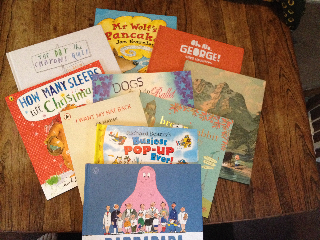 In no particular order, here are my top ten books that me and the little ones have read together throughout the year! 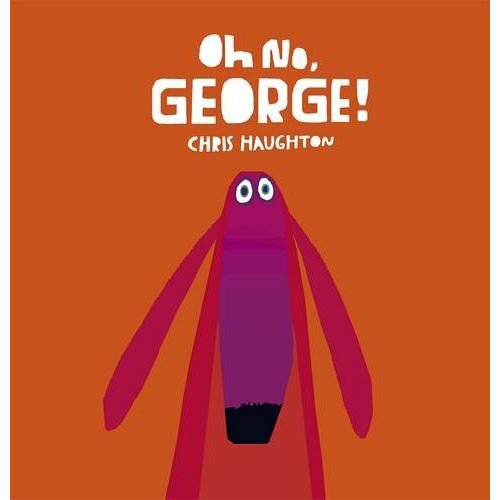 Oh No George!-Chris Haughton: George the dog is briefly left at home by his owner Harris. Harris has asked George to be good and George really tries but in the face of so many temptations – cake, cats- George succumbs to some bad behaviour. Lovely illustrations and everyone can join in with the OH NO! chorus. 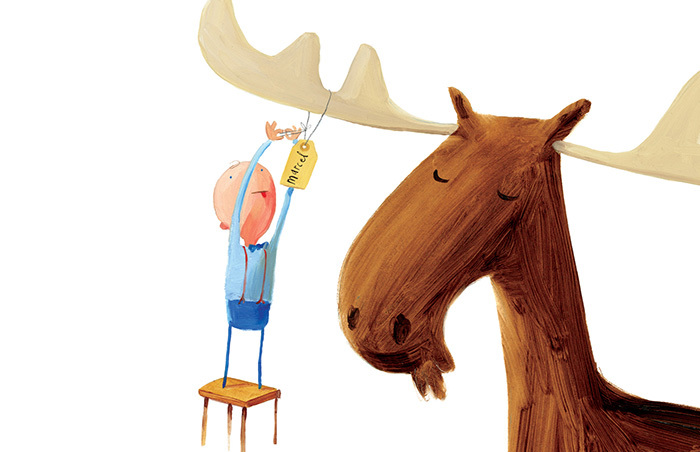 This Moose Belongs to Me-Oliver Jeffers: Winner of the Irish Junior Book of the Year in 2012, this book tells the tale of the trials and tribulations of pet ownership when Wilfred attempts to put some rules on his pet Moose, who doesn’t realise that he is owned by anyone. Jeffers writes and illustrates the most brilliant children’s books and this is a great addition to any little boy or girls library. Mr Wolf’s Pancakes – Jan Fearnley: Poor old Mr Wolf. All he wants is to make himself some lovely pancakes. But he needs the help of his neighbours to buy the ingredients, cook the batter, count his money. Unfortunately his neighbours are not very nice and refuse to help. What will Mr Wolf do? A nice dark twist in the tale! I Want My Hat Back – Jon Klassen: What’s a bear to do when he’s lost his hat? He very politely asks all the animals if they have seen it. But are they all telling the truth? Another one with a bit of a black humour streak! 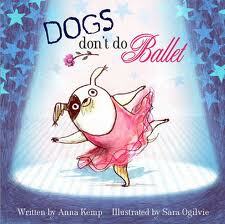 Dog’s Don’t Do Ballet – Anna Kemp and Sara Ogilvie: This is the story of a little girl who owns a dog with big dreams, to be a ballet dancer! Will he succeed? A great feel good book about never giving up on your dreams. Barbarpapa- Annette Tyson and Talus Taylor: Still popular, Barbarpapa began life in the 1970’s and it is hard not to be charmed by this creature. Here is his first introduction republished this year. How Many Sleeps Till Christmas? 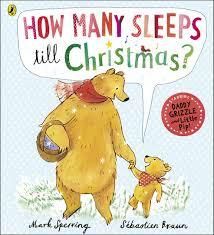 – Mark Sperring: This might be one to buy in the lead up to the big day as Little Pip the bear is helped by his dad to countdown the days until Christmas. Richard Scarry’s Busiest Pop Up Ever! – Richard Scarry: This is an absolute favourite in the house and who can resist the story of Bananas Gorilla on the run from Sergeant Murphy with his stolen banana’s. There are lots of pull tabs and lift the flaps to keep everyone excited. The Day the Crayons Quit – Drew Daywalt Illustrated by Oliver Jeffers: this is a story told in letter form to a young boy from his crayons that have gone on strike! Brown Rabbit in the City – Natalie Russell: When Brown Rabbit goes to the City to visit his friend Little Rabbit, the trip doesn’t go quite as planned. This is a lovely story about the simple delights of friendship.